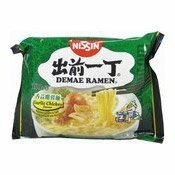 Soup with instant noodles Asian style, Garlic Chicken flavour. 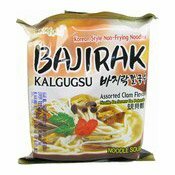 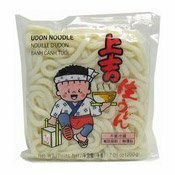 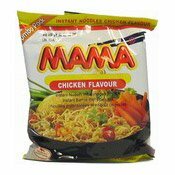 Ingredients: Noodles (91.6%): Wheat Flour, Palm Oil, Salt, Flour Treatment Agents (E500, E451), Stabiliser (E501), Thickener (E412), Anti-oxidant (E306). 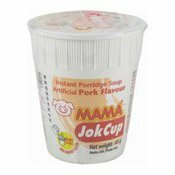 Seasoning Powder (8.4%): Salt, Sugar, Flavour Enhancers (E621, E635), Garlic (9%), Maltodextrin, Spices, Flavourings, Leek, Acidity Regulator (Citric Acid), Chicken Flavouring (Flavour Enhancers [E627, E631], Wheat, Soy) (0.5%), Anti-Caking Agent (E551). 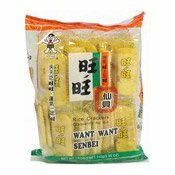 Simply enter your details below and we will send you an e-mail when “Instant Noodles (Garlic Chicken) (歐洲出前一丁香蒜雞麵)” is back in stock!